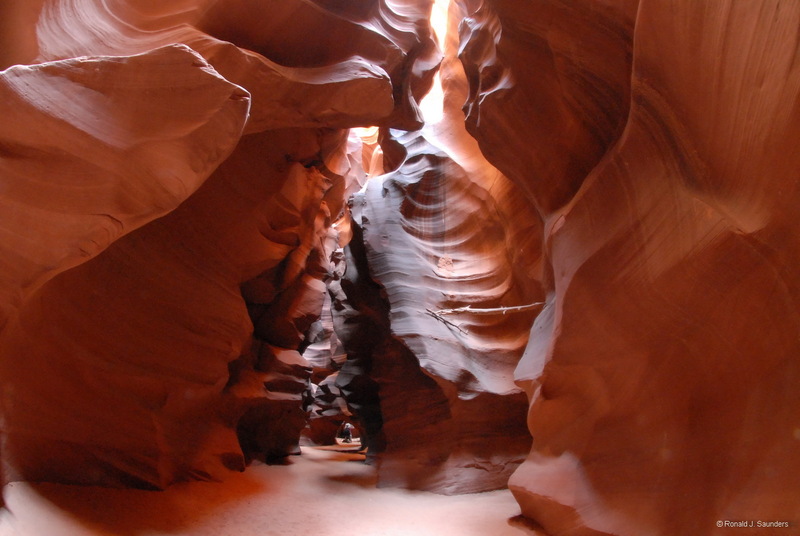 This is one of several wide angle shots of this slot canyon. Taken during the afternoon, there were no beams in the canyon at the time. Photo © copyright by Ronald J. Saunders.